Pre-Raphaelite Art Movement, Pre-Raphaelite Paintings & Artists. 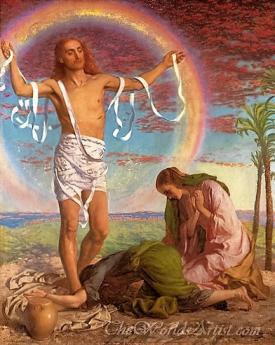 The Pre-Raphaelite Brotherhood Art Movement founded in 1848, was emblematic of the of the Victorian Age. 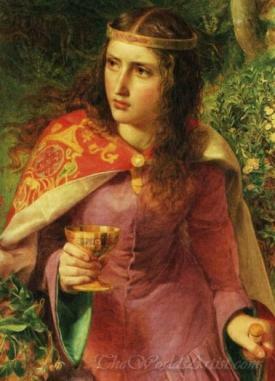 Influenced by the Nazarenes, the Pre-Raphaelites, whose members included the famous artists William Holman Hunt, Dante Gabriel Rossetti and John Everett Millais, proposed a return to a pure style of painting that looked back to the medieval art and the Italian masters, before the “modern manner” of Raphael, for inspiration. In 1838 at the age of only 19, Queen Victoria became sovereign of an empire that, during her reign would change history and cover half the world. The so-called Victorian Age was a long and important period in England characterized by intense economic development and a growing concern for morality. This period marked by a firm belief in the importance of science and technological progress also was witness to great social and economic turmoil. 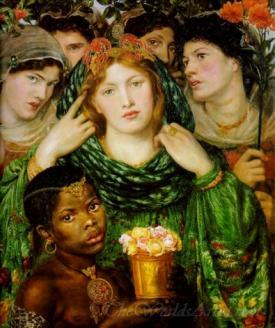 After they chose the irreverent name “The Pre-Raphaelite Brotherhood” for their secret group, they used the acronym PRB to sign their oil paintings. Raphael long considered to be one of the greatest artists of all time was viewed by a group of English painters in 1848 as a negative influence on art. They rejected his Classical style that had been popular for almost four centuries. The Renaissance style propagated by Academies at that time, they believed, lacked true sentiment, and the corrupting art of the Italian master was to blame. Their own inspiration came from earlier Italian artists of the 14th and 15th-centuries who predated Raphael. In pure devotion to medieval and early Renaissance art. The Pre-Raphaelite's A Messed Up Group. The secrecy around them was very controversial, and it didn’t make matters better that some of the realistic paintings of religious subjects were considered by the public as sacrilegious. 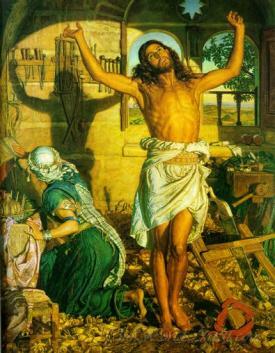 Moved by an uneasy religiousness often mixed with a disturbing sensuality, the Pre-Raphaelites triggered conflicting reactions from both the critics and the public. Their artistic output was small and their rebellion was short-lived, after which they disbanded. Yet, that group of seven young art students started a painting style that remains influential and polarizing, more than 180 years later. William Hunt always gathered precise information on the costumes and arms of the period. This meticulous attention to detail characterized all the artist's work. Ford Brown, never joined them but was constantly in contact with other members of the group. He is the only painter who actually had been to Italy. John Millais introduced sentimental themes and touching portraits of children into the group. Dante Rossetti was a womanizer, painting femmes fatales. 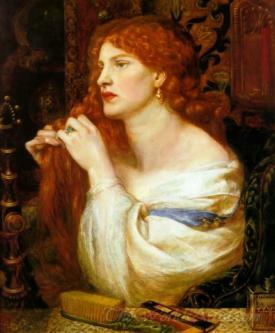 Upon the death of his wife, who committed suicide, Rossetti felt remorse for the rest of his life and suffered from nightmares and depression. Famous Pre Raphaelite Art Movement Oil Painting Reproductions. 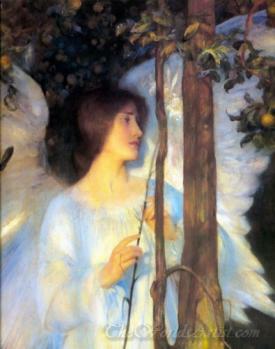 Pre Raphaelite Art Movement Painters Biography & Painting Reproductions.